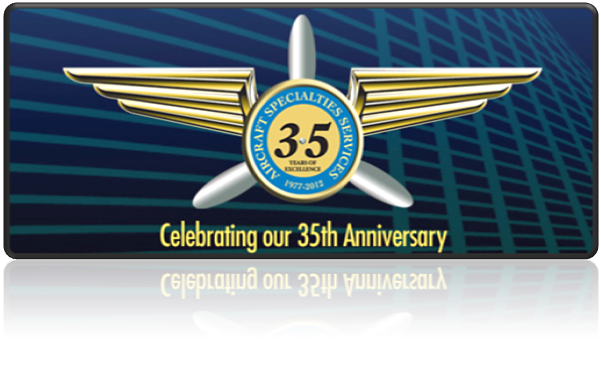 Aircraft Specialties is a unique company that offers both its customers and employees many opportunities. Our goal is simple – be the best service provider in the industry. Our people make this happen each day. 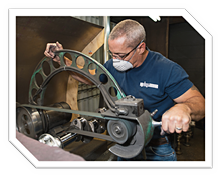 The sum of our Quality is a combination of effort by each person in the chain that handles your component. It’s my job to see that they get the resources needed to get the job done right. Aircraft Specialties operates under the principles of continuous improvement, (CI). Every day we strive to make the business a little bit better. We routinely invest in our people, facilities and repair processes to keep pace with evolving aerospace technologies. We do this for you, our customers. If we ever fail to meet your expectations, telephone me directly at x105 and I will personally see to it that your concern is handled satisfactorily. The helpful voice you hear answering the phone is Karla. She has been with Aircraft Specialties since 2010. Karla has worked in aerospace most of her career. She is married to an aerospace engineer, Fred and has three children. When not in the office, Karla follows NASCAR racing and travels to many of the races throughout the year. When she’s not racing, she is chasing her grandchildren around the house or playing golf. Lynn is our New Parts Sales Supervisor. 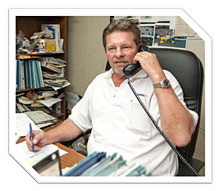 He has been with Aircraft Specialties for 20 years and in the aircraft parts business for 37 years. Lynn does double duty as our shop purchasing agent. Lynn is well known throughout the industry for his unique character. When not chasing parts, Lynn becomes the grandparent you wish you had as a kid. He builds custom hot-rod cars in his shop on the weekends along with looking out for his grand kids. Bobby is our Chief Inspector. In addition to that, he spends considerable time helping customers follow the status of their orders or hunting down replacement parts. Bobby is a walking encyclopedia of engine part numbers and interchangeability data. When not chasing parts, he can be found on Sky Haven Airpark where he is one of the few people living the dream of residing on an airport. Bobby regularly flies a C-182 on company business or to local fly-ins. His wife Jill spends most of her time chasing Bobby, their wiener dogs and grandchildren around the airport. Harold is the Shop Supervisor for our largest shop, which handles all of the crankshaft and camshaft reconditioning. Harold has been with the company for 29 years. Harold and his team process over 3000 crankshafts and 4500 camshafts each year. When the shop work is complete, he reviews all of the associated paperwork and issues the 8130 maintenance release. When not overseeing the shop, Harold can be found at weight lifting competitions or camping, fishing, and hunting with his two grandchildren. 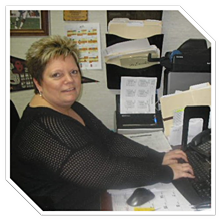 Tina is our Shipping/Receiving/Billing Supervisor. She has been with Aircraft Specialties since 1987. Tina and her team coordinate all of the shop orders from inception to shipping out the finished work. 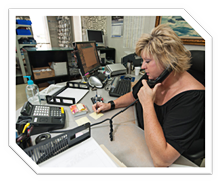 Every shop customer will eventually talk with Tina since she is responsible for letting you know the invoice totals and shipping information. Tina is an avid University of Oklahoma (Sooners) fan and attends games each fall. When not cheering on her favorite Sooners, she can be found entertaining her two nieces or buried in a novel. Tina also heads up our company's charitable giving efforts at Christmas time. Vicki is our Accounting Professional and HR Administrator. She has been with Aircraft Specialties for 20 years and has 38 years of experience in the accounting profession. Vicki has two grown children and two grandchildren. She is deeply involved with her church’s women’s activity group and other volunteer work when not spoiling her grandchildren. Vicki is also a proud Sooner Football fan. Cary is the Supervisor over the all-important lifter department. Like most people here he also wears two hats with his secondary duties as Manager, New Part Manufacturing. 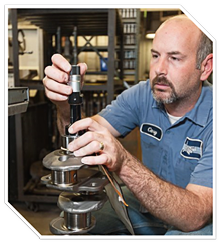 Cary’s team reconditions over 24,000 tappets each year as well as rebuilding hydraulic units. He is very resourceful with a lathe and milling machine which makes him our special projects go-to-guy. When not checking the bleed down rate of hydraulic units, Cary can be found on his farm, usually on a tractor, or bailing hay for cattle ranchers. In the winter he enjoys extreme snow skiing.